In this digital era, customer demands and satisfaction are the key drivers for banks and financial institutions. Customers want their banks to understand their needs and requirements to offer more personalized services. Such requirements gave birth to FinTech that uses technology, algorithms, and programs to support or enable modern banking and financial services. With FinTech or financial technology, the lending industry has been able to solve major issues revolving around lengthier processes, mundane paperwork, and higher cost. 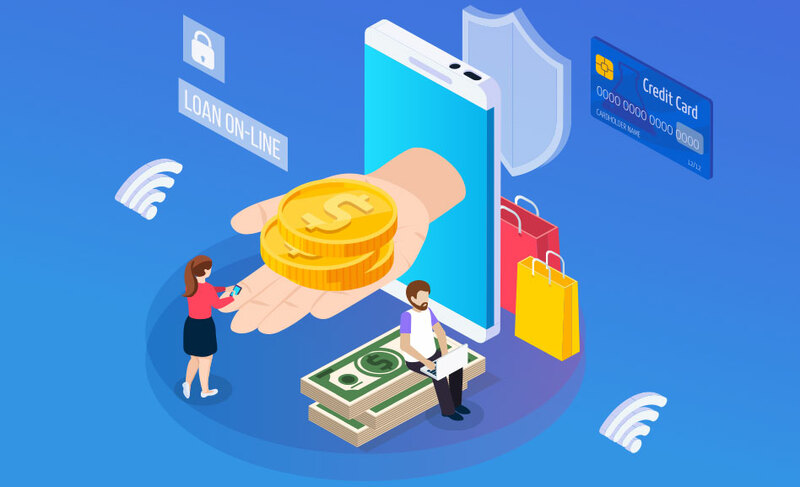 Numerous financial institutions have built online lending platforms that are more technology-oriented and offer a faster and cheaper mode of raising funds. They also incorporate emerging technologies like AI, ML, and blockchain to be more progressive and offer what customers in this digital age are expecting. Digital lending platforms have come a long way since the introduction in the year 2005. Unlike banks, they offer numerous benefits to customers in terms of high yielding investments and easy loans. The lending platforms generally offer credit faster and at cheaper rates with low turnaround time. Customers could raise funds despite a low credit score with the flexibility of repayment. Here we have a look at the four major areas that could be benefitted with digitalization in the lending sector. With online lending platforms, applying for a loan and getting approvals has become breeze. Borrowers can easily check their credit score, submit documents, scan the repayment schedule, track the loan status and do much more through their account with a few clicks. Lending platforms essentially automate the loan process for lenders and fund analysts as well. With everything automated, they can quickly and easily evaluate borrower’s repayment capabilities online. Summing this up, lending platforms have greatly reduced loan processing time in comparison to banks. Where traditional institutions might take 5-7 working days to provide the loan amount, these platforms can complete the same process in mere 24-48 hours. Digital lending platforms act as a common place for analyzing financial data about borrowers. It enables lenders to scrutinize various aspects including borrowers credit score, their income, credit history, etc. for better risk analysis. This also reduces the dependencies of lenders on third parties such as credit scoring firms reducing the overall time taken in loan approval. Lenders could easily rate borrowers based on custom rules in a fast and efficient way. Some platforms also use smart algorithms to study the data in a systematic way to ensure personalized loan schemes and credit offerings. We have discussed it in detail in the next point. An online lending platform could have multiple types of borrowers with their own credit history and loan requirements. Some might have good credit score but low income, some might be looking for loans with lower interest rates, or some might lack proper documents but require urgent funds. Thanks to technologies like AI and ML, these platforms could efficiently analyze each customer and offer personalized lending experience. Evaluating the vast user data available, the platforms could offer the most suitable credit services to borrowers based on their loan application. Speeding up the entire loan process. Offer a more personalized experience. Easy loans with even low credit score. Same goes with lenders as well in terms of customer experience. These platforms could be a great way of investment and generating higher returns. They also offer the ability to grow their portfolios without adding commensurate risk. Digitalization addresses all major challenges the lending sector is currently facing. It also proposes solutions to the problems that might come in the future. That said, financial organizations that do not adopt digital strategies risk losing business to competitors. Embracing digitalization in lending solutions seems to be the only way forward for businesses who wish to stay ahead of the curve.